Step Aside N-Sync. Move Over One Direction. The Boyz are Back – The Altar Boyz! Award-winning Director and Choreographer Michael Mizerany brings this full-length production to Coronado Playhouse after last season’s acclaimed, sell-out concert version. Join our heavenly boy band Matthew, Mark, Luke, Juan and Abraham on the last night of their Raise the Praise Tour as they attempt to save the world, one screaming fan at a time. Experience sinfully spectacular dancing, irreverent humor, sharp parody ballads, high-energy rock numbers and tight… harmonies. Hailed as “high-octane entertainment” (Talkin’ Broadway), Altar Boyz ran off Broadway for 5 years winning multiple awards including 2005 Outer Circle Critics Award for Best Off-Broadway Musical and the 2006 and 2007 Broadway.com Audience Favorite Award. NOTE: This production contains adult humor and innuendo. CORONADO, CA – Coronado Playhouse opens its 71st Season with Altar Boyz, from January 20 to February 19, 2017. Returning to Coronado Playhouse, after last season’s acclaimed, sell-out concert version, award-winning director and choreographer Michael Mizerany this time stages the full-length, all-singing, all-dancing production. Altar Boyz is the story of five small-town boys who, together, become an irreverent spiritual boy band sensation. Audiences will join Matthew, Mark, Luke, Juan and Abraham on the last night of their Raise the Praise Tour as they attempt to save the world’s souls, one screaming fan at a time. Experience sinfully spectacular dancing, irreverent humor, sharp parody ballads, high-energy rock numbers and tight… harmonies. Hailed as “high-octane entertainment” (Talkin’ Broadway), Altar Boyz ran off Broadway for five years winning multiple awards including 2005 Outer Circle Critics Award for Best Off-Broadway Musical and the 2006 and 2007 Broadway.com Audience Favorite Award. 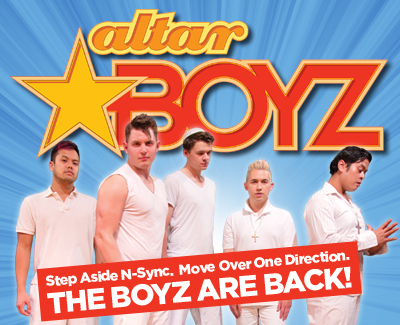 Altar Boyz fans will be thrilled with songs such as “Girl You Make Me Wanna Wait” and “Jesus Called Me On My Cell Phone”. Please be aware that Altar Boyz contains adult humor and innuendo. 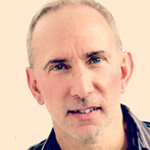 Altar Boyz is directed and choreographed by award-winning Michael Mizerany. Sean LaPerruque is the music director. Tickets range from $20 to $27 and are available through Coronado Playhouse’s Box Office at (619) 435-4856 or online at www.CoronadoPlayhouse.com. During the run of this production, Coronado Playhouse, The Community’s Theatre, is also raising money and awareness to benefit Mama’s Kitchen, San Diego’s only free county-wide meal delivery service for men, women and children affected by AIDS or cancer. During the past 26 years, Mama’s Kitchen has served over eight million meals and has never turned away a client who qualified for their services. In 2015, Mama’s Kitchen delivered 274,923 meals to 405 San Diegans affected by HIV/AIDS, 70,611 meals to 196 San Diegans affected by cancer, including 46,797 meals to120 children whose parents were affected by HIV/AIDS or cancer. Audience members are invited to bring non-perishable food items to any performance or contribute to our virtual food drive online at https://support.mamaskitchen.org/teamaltarboyz. Please contact M.G. Perez for specific media interest and needs. Coronado Playhouse is a qualified 501(c) 3 non-profit organization as San Diego County’s longest running community theatre. PETER ARMADO (Luke) Peter is excited to make his Coronado Playhouse debut. His past credits include: American Idiot, The Threepenny Opera, Into the Woods: In Concert, Rent, Next to Normal, Legally Blonde, and Spring Awakening. He also performs regularly at Martinis Above Fourth – Table and Stage as part of Leigh Scarritt Productions’ Stars of the Future cabaret series. Off stage, Peter is a graphic designer, YouTube creator, and dog lover. He would like to thank his family & friends who have supported and encouraged him on his journey as an artist. CODY INGRAM (Matthew) Cody Ingram has served over 4 years active duty in the United States Coast Guard and is currently serving in the Reserves. 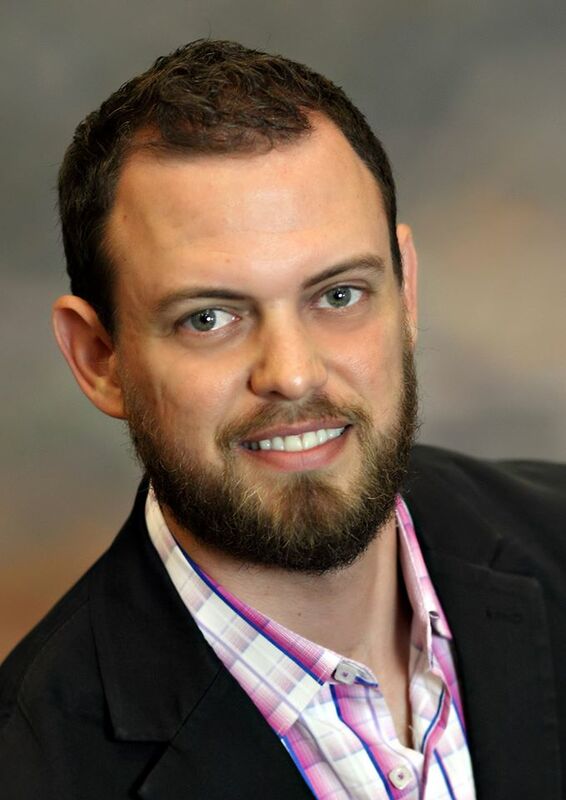 Recent engagements include San Diego Musical Theater’s The Producers, Sonny Malone in Xanadu and as a featured soloist for Cambridge Symphony Holiday Pops, Longwood Opera on their Broadway Summer Concert Series, as well concerts in and around Boston. Before joining the USCG, Cody toured with Citrus Singers, an internationally renown performing program with Citrus College in Glendora, CA. Other past credits include Pump Boys and Dinettes, The Wizard of of Oz, Bye Bye Birdie, Les Miserables, A Christmas Carol, and Bernstein’s Trouble In Tahiti. He is so excited to be making his Coronado debut in this show. He would like to thank God, his family, all his fellow Boyz, Michael, Sean, and Coronado Playhouse for letting him Raise the Praise in such a fantastic show! 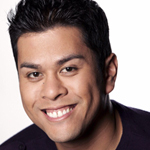 PATRICK MAYUYU (Juan) Patrick Mayuyu has performed on many local stages including San Diego REP, Diversionary, ion, Coronado Playhouse, OnStage Playhouse and SD Asian-American Rep. An actor, dancer, singer, choreographer, published poet, activist and karaoke enthusiast, Patrick is also a proud company member of InnerMission Productions. He is grateful for his family and friends and for their never ending support. DENNIS PETERS (Abe) Dennis Peters couldn’t be more excited to be making his Coronado Playhouse debut with Altar Boyz. 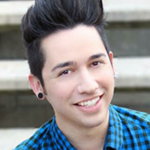 A recent graduate from Central Washington University’s BFA Musical Theatre program, Dennis moved to San Diego in June to teach Improv at the La Jolla Playhouse as part of the YP@LJP program this past summer. 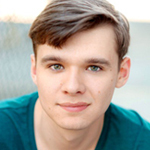 Select credits include Robert Martin in The Drowsy Chaperone, Perchick in Fiddler on the Roof and Ensemble in Green Day’s American Idiot (directed by Eric Ankrim.) Dennis is a massive sports fan, supporting both the Seattle Mariners and Seahawks. Love to Mom, Dad, Tommy, and Kayla. SEAN LAPERRUQUE (Musical Director Conductor/Keys) is super excited to return to Coronado Playhouse with the ultra-fabulous Altar Boyz! Sean was Music Director for the Boyz back in 2012, when Noah Longton & Diversionary Theatre Cabaret brought them to San Diego the last time. He was honored with a 2012 Scenie Award for Best Musical Direction from StageSceneLA for that production. 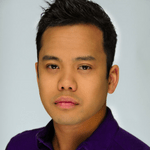 Sean has been fortunate to again team up with choreographer Michael Mizerany (2012 Scenie, Best Choreography) and Boyz Patrick Mayuyu and Shaun Tuazon-Martin (2012 Scenie, Outstanding Ensemble Cast Performance) in order to bring the Boyz back to Coronado. Most of all, he has really enjoyed getting to rock out with new Boyz Charlie Gange, Joey Kirkpatrick and Seejay Lewis in this new production. 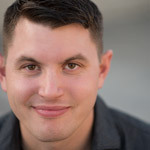 Sean’s most recent appearance at Coronado Playhouse was as Music Director for Pageant: the Musical (2013), and he is also a Resident Artist at Cygnet Theatre where he has been a Music Director, violinist, violist and keys player since 2012 (Dogfight; My Fair Lady; Spring Awakening; Company; Parade; A Christmas Carol). Other recent theatre credits are with San Diego Musical Theatre (Singing in the Rain, West Side Story, Next to Normal, Annie Get Your Gun, Chicago, White Christmas, Joseph and the Amazing Technicolor Dreamcoat) and Lamb’s Players Theatre (The Wonderful Wizard of Oz, West Side Story, Les Misérables). Sean has also served as Principal Viola at City Ballet of San Diego. As an educator, Sean is also very proud to have performed in San Diego Junior Theatre productions (violin, viola, keys) since 2008 (Snoopy!! !, The Burnt Part Boys, The Sound of Music, Hairspray, Beauty and the Beast, Roald Dahl’s Willy Wonka, Seussical, You’re a Good Man, Charlie Brown, Oliver!, Les Misérables, The Wizard of Oz, Thoroughly Modern Millie). Sean is currently a Community Teaching Artist in the San Diego Youth Symphony & Conservatory’s Community OPUS Project. He teaches the violin program at The Gillispie School, while maintaining a studio of strings and piano students at Kalabash School of the Arts. He has also taught strings with Carlsbad Strings Education Association (CSEA) and Rancho Santa Fe public schools. Sean LaPerruque owns his own business, Go for Baroque Strings, providing music and musicians for special events. Sean earned his B.S. in Bioengineering from UCSD in 2007, minoring in Music. Friday, January 20, 2017 at 6:30 p.m.
Monday, January 30, 2017 at 7:00 p.m.
Join hosts Carla Nell and Juan Hernandez alongside some of San Diego’s finest performers for an evening of song, food, drinks and laughs – all in support of ALTAR BOYZ! Altar Boyz Director Michael Mizerany and Music Director Sean LaPerruque will present a fabulous cabaret-style show. Eat, drink, be merry and have a wonderful time. During the run of Altar Boyz we are partnering with Mama’s Kitchen of San Diego County in an effort to bring much needed exposure and donations to this worthy cause.